is one of the better known emission nebulae near the heart of the Milky Way. 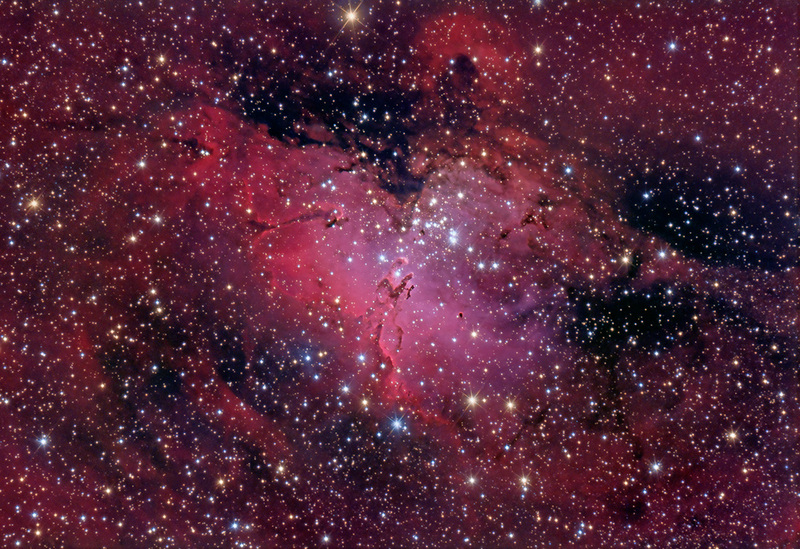 The Eagle's talons at center are more commonly called The Pillars of Creation, a name popularized by the famous Hubble Space Telescope image. For me, this amazing feature is a dinosaur-like monster. Perhaps you see him too? Scattered throughout the hydrogen gas are the dark Bok globules also indicative of star birth.